Palladium stores and purifies hydrogen as well as virtually no other material. Necessary for the automotive industry. Palladium is mainly used in the automotive industry to produce catalysts. Furthermore, palladium is used in the medical sector and the electronics industry as well as jewelery. For the fuel cell technology, which can be a new means of propulsion for vehicles, palladium plays a very important role. 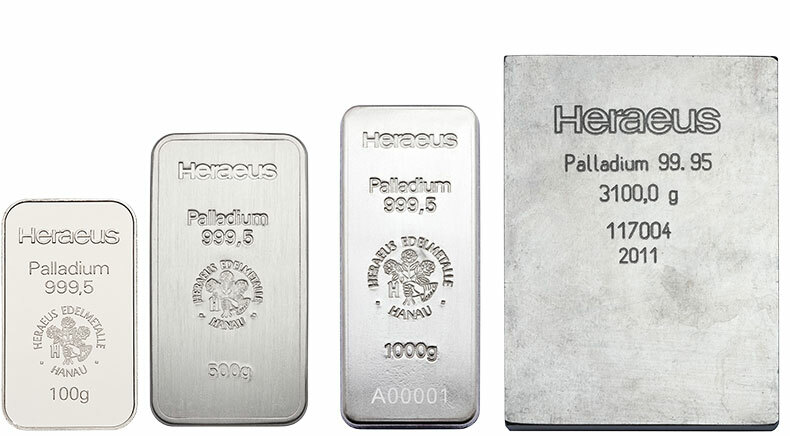 According to experts, the demand for palladium has already exceeded the supply for several years. Around 200 tons of palladium are produced annually. According to experts, the annual demand is even about 500 tonnes.